Finally, the time has come to see other side Nevada and scratch a little and Arizona. 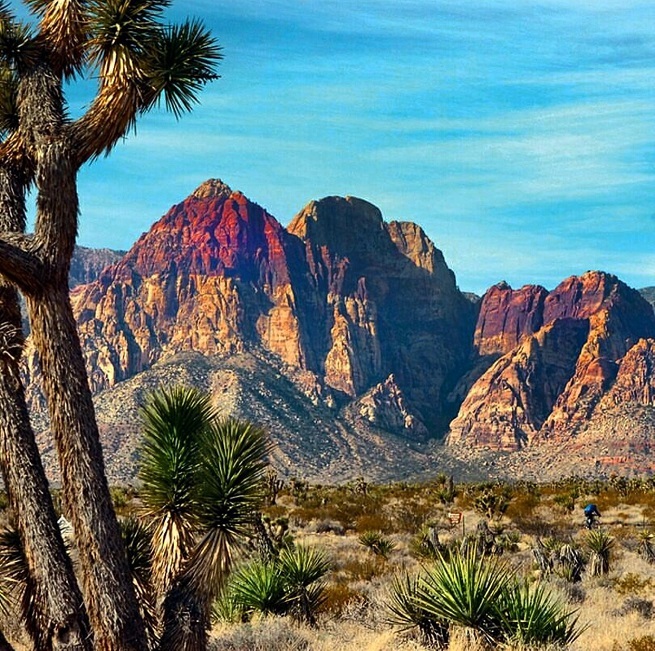 We leave Las Vegas and go to the massive expanses, cliffs, reefs and rocks of the national park Grand Canyon. I must to mention that if you are taking rent a car in Vegas, you need to earlier book. On the vegas it is impossible to do, waiting for the car is up to seven days (don’t ask how I know). For those with deep pockets, there are tours helicopter . We started with the intention of hours enjoying the view and the nature of which is far and wide the story. 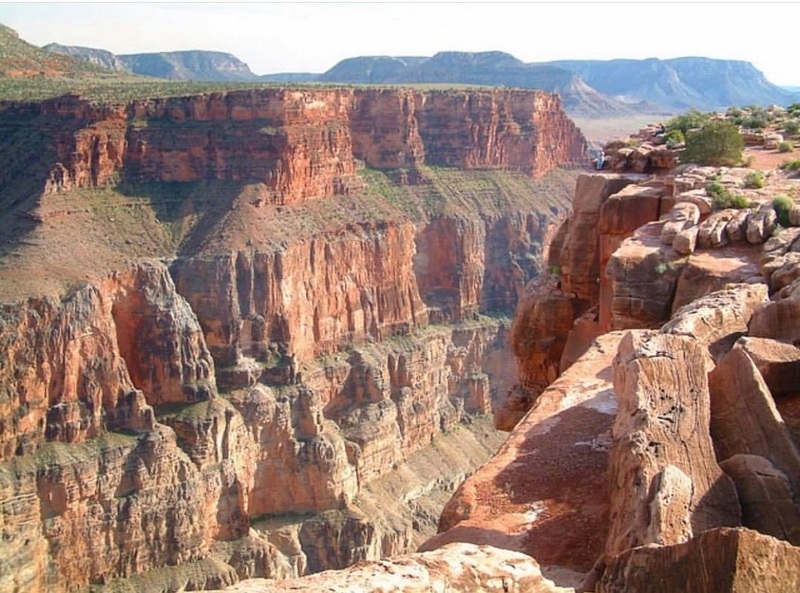 Canyon got its name due to its size, length, and, in the words hardly described, panorama. Since we visited in February we were prepared that there will be a big crowd. The northern part of the canyon is closed during the winter but because the southern part of the more accessible and is open throughout the year. We were not rushed (as we know), and we tried to enjoy the journey, the sunsets, unspoiled nature and impressive panorama. 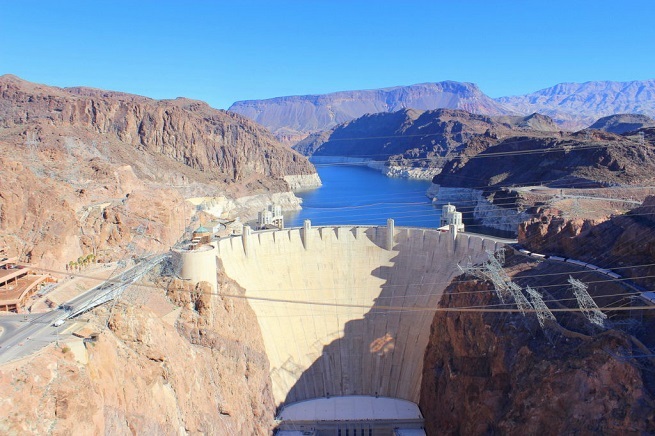 The first stop on the road (about sixty kilometers from Vegas) was our Hoover Dam. Hoover Dam on the Colorado River, the border between the US states of Nevada and Arizona. View from the dam is magnificent. There is also a tour in which you can enter and tour the dam, but we skipped that part. The great variety of flora and fauna decorates the landscape through which we pass. I have to note that it is forbidden to feed animals throughout the national park for the protection and conservation of wildlife and natural habitats. Wind roar, and you immediately notice is unreal silence that reigns in the canyon. Colors and color changes depending on the time of day (or a time of year when you visit). 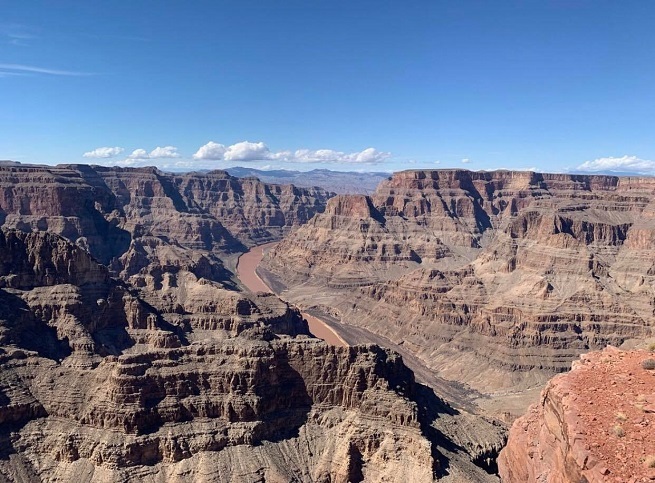 Canyon, on whose bottom mighty Colorado River, which forced its way through the magical landscape, make the walls of which are from one another distinctly different shape. The road winds through a canyon cliffs, and even then we realize that we are this cruel and scantily place really surprised because at first before us scenes that give the impression that we are on the moon, then, we see landscapes reminiscent of the wild west. There are a large number of observation posts and countless sites that have served us for a memorable and perfect staff. Shutterbugs canyon provides a special pleasure. It is interesting that in the canyon you can find the most diverse types of accommodation, and you can even camp out, if you like. Mornings in the canyon are in the haze, while during the day the sun. Various hiking and cycling tours are available. An incredible experience is to visit the canyon part of his own body feet. Walk the narrow lanes and majestic cliffs is not suitable for those who do not have the least bit adventurous in itself. Also, if you are adventurous, you can make and take off on a tour to the foot of the canyon, are the best tours donkeys or horses. 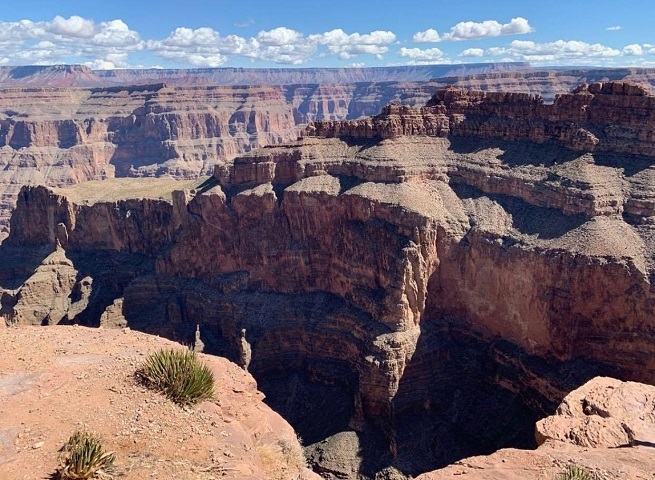 Whether you choose to view the canyon from rim or maybe it goes down deep into it, in both cases it will be an unforgettable experience and a moment that you will remember all your life, I guarantee you. 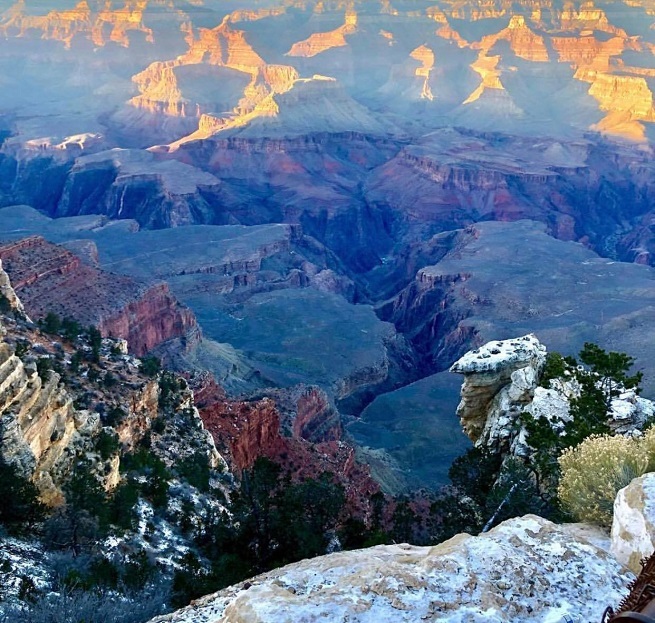 If you love nature and enjoy it Grand Canyon National Park is an ideal place where you can spend part of your holiday. 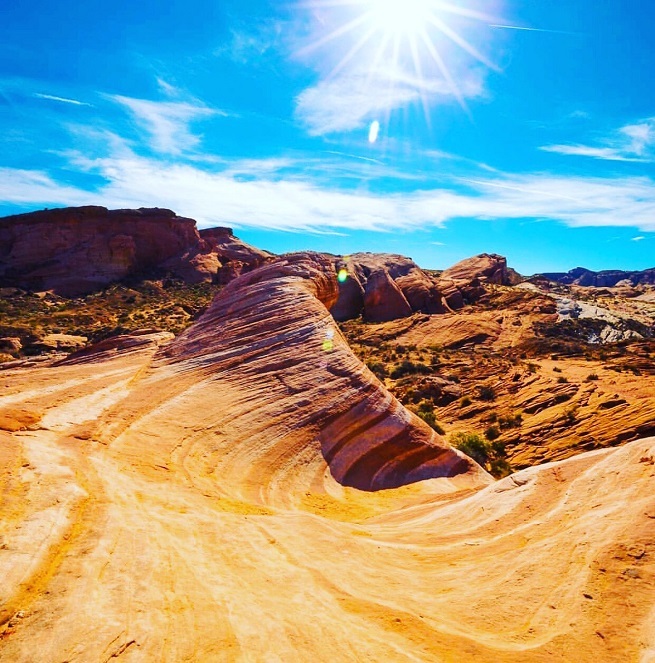 If more adventurous spirit part of your personality and love unforgettable adventure, then this is definitely the station where you have to get down to the last detail is visit a while in this part of America. The strength and power that demonstrates little town where you will still be able to feel. P.S. When we left the Las Vegas and Grand Canyon, crossed over Nevada snowstorm Petra, so that the Grand Canyon was covered with snow, which is how the American media reported long back did not happen. I would say after us not weeds do not grow!